I'm Gordon Witherspoon, a Deputy Chief Driving Examiner. I was involved in the process to make sure the changes we’re making to the driving test are safe. This included asking the Royal Society for the Prevention of Accidents (RoSPA) to carry out an independent risk assessment of the changes being made to the driving test. RoSPA is guided by the vision of life, free from serious accidental injury. Improving the way people learn to drive and making the driving test more realistic is a vital part of reducing the number of people killed or seriously injured on our roads. Giving you assurance the driving test itself is safe is important to us. On 27 September 2017, I met with 3 members of RoSPA’s team to show them the changes to the driving test. I started by showing them the training package that every one of our examiners receives, as RoSPA’s team wanted to make sure they have the right level of support. The training includes video clips of the how the new manoeuvres will be carried out - the team thought these were easy to understand and a useful training tool. We keep a training log of the training examiners receive, and I showed them what it looks like. I also showed them the new text included in the guidance we give to examiners on carrying out tests (sometimes known as the ‘DT1’). RoSPA felt the guidance we provide is really thorough, and was really impressed with the training package our examiners have. RoSPA’s team were content with the procedure for installing the sat nav. I showed them how examiners will load a pre-programmed route, and how they’d position the sat nav on the dash mat or windscreen. I also demonstrated how easily the sat nav can be adapted for candidates with special requirements. We blogged about other ways we’re making the test accessible for everyone in October. Once the sat nav was set up and ready to go, I loaded a pre-programmed route to show the team how the new independent driving section will work. They agreed this hasn’t changed much, but the addition of a sat nav would help prepare new drivers for real-life driving. As well as showing RoSPA’s team how our examiners will carry out the new forward bay parking manoeuvre, I also showed them the types of locations we think would be unsuitable. For example, we wouldn’t ask a candidate to park in a car park where the layout isn’t easy to understand. Our examiners also won’t ask candidates to drive into car parks where they can’t see how busy it is before entering - unless the examiner knows it’s easy to drive around and exit. RoSPA’s team agreed with these decisions. Something RoSPA’s team were keen to see was the ‘pull up on the right’ manoeuvre. I showed them several locations and explained where our examiners will and won’t ask the candidate to carry this out. I explained how the candidate would be expected to demonstrate this skill and told them the instructions our examiners would give. I also showed them what would happen if the situation changed during the manoeuvre, and reassured them that our examiners are trained to deal with this. The team felt the manoeuvre was low-risk and were impressed with the guidance given to our examiners on this manoeuvre. They agreed with me that pulling up on the right is real-life driving and is something learner drivers should be taught to do by a trained professional, rather than leaving it to chance. Finally, I demonstrated the new show me question on the move. RoSPA’s team agreed it was important to make sure new drivers know how to deal with this real-life distraction whilst driving. RoSPA’s team found all the changes being introduced to the driving test on 4 December 2017 are low-risk. They felt the new elements of the test contain the same level of risk as the current test, such as carrying out an angled start. They felt we’ve given driving examiners thorough training and provided good guidance on how they should carry out a dynamic risk assessment for each new part. You can read RoSPA’s full independent report for all the detail of what they found. We’re looking forward to the new test coming in on 4 December 2017, and we hope by better preparing young and new drivers for realistic driving we can help to reduce the number of accidents on Great Britain’s roads. Visit the RoSPA workplace safety blog if you’re interested in finding out more about what they do on workplace safety. It's interesting that for all the involvement of RoSPA and its subsequent report, added to your assertion that your examiners are duly trained and guided on how these new procedures will be implemented, I am astounded on how little information has been provided to driving instructors and the public in general. Apart from the obvious requirement of executing the manoeuvres safely, instructors would have benefitted to know also, how, where and when such manoeuvres would be undertaken. I was at the local test centre yeasterday and every instructor expressed serious concern about the poor information provided. RoSPA report is deficient in not recognising this failing. It cannot be satisfactory that the teaching and training aspect of this new test has not been properly consulted, advised and guided through to ensuring new drivers are adequately prepared. So, you had a risk assessment done with a car full of qualified drivers. Qualified drivers won't be undertaking this on the new driving test. Maybe RoSPA should carry this out with an ADI and a novice/test standard student? Instead of hearing your concerns, how about the concerns of the driving instructor community being heard. Excellent inclusion of RoSPA - great idea to do this. That’s all very good but the proof is in the pudding . Will this new test make everyone safer, or is it just a few different hurdles for the public to get over in order to get a full licence at the least possible cost to them. Now the TITR and Reverse Corner have gone the public will probably have less lessons not more ! Please put the 'turn in the road' manoeuvre back in. Also, the DVSA left it rather late to talk to RoSPA! But good work, well done. Would it have been nice to show us Instructors how and where the examiner will conduct the pull up on the right and bay park? I agree that the practice of pulling over to the right is a real life situation and in most cases causes little problem, however I see no mention of the dangers of doing this at night. Certainly in my locality there seems to be an increasing issue with people stopping on the right at night with their headlights on. I'm sure many people do not realise that in this situation their lights are shining straight at people coming towards them, a dangerous thing to do especially with the high brightness lights now becoming prevalent. I see that there are concerns over the parking on the right and rightly so. Its a maneuver that is high risk and has potential and serious consequences to ADI's, Examiners, pupils and third party road users. Fair warning! All sounds great. Thorough training package, risk assessments all the way, RoSPA involvement too. Given such a thorough approach, it seems a bit of a shame that all we instructors got was 1, You need to buy your own Sat Nav and 2, training? Oh yes! "Watch the videos on YouTube". In other words, here are the changes, fend for yourselves? Now the system has had something of a spanner thrown into the works as some of these "Thoroughly trained and supported Examiners" are going on strike! I have already had two of my tests canceled and one moved into a double booked slot with no comeback. Be willing to be you don't post this or respond. (Again!) Shame, because this IS real life at the sharp end. The strike action was about a new standard employment contract that DVSA staff signed up to in 2014. In return for changes to their terms and conditions, they received a buy-out and a 3-year pay deal. PCS are now trying to link the dispute with health and safety risks of changes to the driving test. The new driving test has been designed to make sure drivers are better prepared for a lifetime of safe driving. 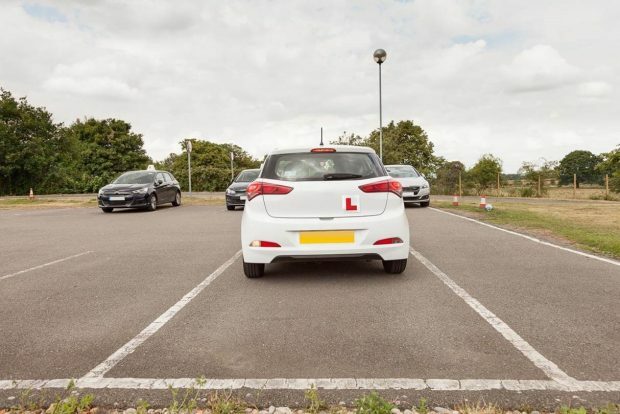 The changes have been developed and trialled extensively with input from DVSA staff, learner drivers, their instructors and other road safety professionals. I'm glad that RoSPA were happy with training that the examiners would be given to make sure the new test manoeuvres and other changes do not increase their risk. However, was any consideration given to the safety of the people who have to train new drivers and to what training instructors might receive, or not? As an experienced driving instructor, i can see no problems with the change's due on the 4th December, in teaching my pupils these new exercises, all have said how much easier they are than "reversing around corners" and blocking roads with the "turn in a road" even the showing of various controls whilst on the move, all my pupils have always been taught these prior to taking the taking the current test, especially the air-con controls to keep windows from misting up and use of the horn to express concern for other road users, as for the sat-nav my past 3 vehicles have all had factory fitted units built into the dash-board, with some examiners actually asking me to blank off screens because they feared distraction for my pupil taking the driving test. I have read the following regarding the 'setting up of sat nav' and 'how they’d position the sat nav on the dash mat or windscreen'. Am I reading this right! it is very difficult to position a sat nav in this manner without obscuring the view of the road. Is this setting a good example to future motorists? I have been skilfully blinded on two occasions this winter, already, by idiots who had, quite unnecessarily, pulled up on the right. I have always had doubts about the value of the driving test, and the above provides nothing in the way of reassurance. It all kooks great. BUT - since an additional test for night driving will doubtless be considered too expensive, I assume it will be verbal questions that cover this. We all know that one should dip for oncoming vehicles, but two other aspects seem to be overlooked. One is that holding the car stationary with the footbrake at a junction can dazzle the following driver, causing reduced vision after move-off due to eye response (and possibly discomfort). The other is that main beam in certain circumstances can help a following driver who wishes to overtake, where the longer view helps them to assess whether overtaking is safe without pulling out first. So sorry to see that you did not involve the IAM. Why are Examiners and Instructors still not happy about certain aspects of the new tests then? What are Rospa taking into account that our industry experts IE those carrying out the job day in day out, not aware of, that might put their minds at ease? Below is a quote from page 4 of the ROSPA Consultancy Report, is it possible in the same detail to explain "the type of roads that are suitable for this type of manoeuvre and also which traffic conditions are suitable and are not suitable." as quoted below, so Instructors and Test Candidates may be as well informed. "During the practical demonstration, this manoeuvre was carried out a couple of times, and Mr Witherspoon explained in detail the type of roads that are suitable for this type of manoeuvre and also which traffic conditions are suitable and are not suitable." Can I ask whether consideration was given to a possible frontal impact on a school car whilst stationary on the right hand side of the road. I’m more concerned with the lack of head support to this type of collision where head restraints offer whiplash support in a rear end collision. This type of collision has already occurred during practice session with a student.